After laughing their way through his classic and beloved depictions of nineteenth-century American life, few readers would suspect that Mark Twain’s last years were anything but happy and joyful. They would be wrong. Contrary to the myth perpetrated by his literary executors Twain ended his life as a frustrated writer plagued by paranoia. He suffered personal tragedies, got involved in questionable business ventures, and was a demanding and controlling father and husband. 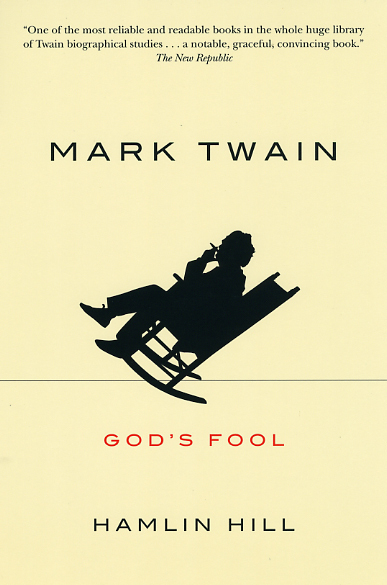 As Mark Twain: God’s Fool demonstrates, the difficult circumstances of Twain’s personal life make his humorous output all the more surprising and admirable. "At present this is the definitive study of Clemens’s last years."